eSMART also meets advanced needs for ecologically responsible construction or renovation and makes buildings that can evolve, that are prepared for future services. 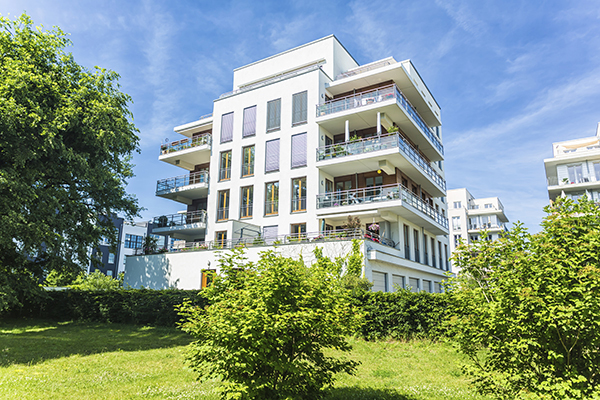 Building managers, connected to each object benefit from services connected for tele-reading of meters, facility monitoring or communication with the occupants. 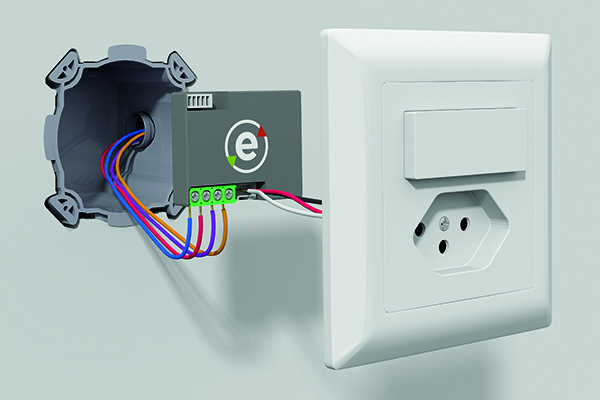 To optimise installation, the exclusive technology PLC-eSMART from EPFL (Ecole Polytechnique de Lausanne), developed by eSMART, makes the technical solution and realisation easy: simply install micro-modules behind the switches and meters, with no additional cables, radio or line bus: the devices communicate via the existing wiring. Comfort, safety and energy efficiency. The interactive touch screen replaces the videophone You can open the door to your guests with the videophone, after safely checking their identity on the screen. Room-by-room temperature regulation optimises energy consumption and requires only minimum effort on the part of the occupant. The ‘goodbye” mode, activated upon leaving, means you can turn down the heating and turn off the lights without making a tour of the flat. ‘Vacation’ mode turns the heat down until the day you return. eSMART features offer more by informing occupants about consumption of heating energy, hot water and electricity in real time. They can also set monthly consumption goals and consult energy consumption histories. Energy data for the whole building and each flat can be exported for smart billing management independently. The touch screen includes family communication features: It can be used to leave messages, complete the family agenda, consult the weather report, public transport schedules and news. That is all that is needed to implement eSMART and it couldn’t be more intuitive. News, events and innovations. Keep up-to-date with what’s happening at eSMART!